This is the single most important step you can take to protect your data! If your data is backed up, then it can always be restored. Businesses will typically take at least one backup every day, although it’s recommended that you set up to take backups hourly. To get started with backups, you can use a cloud based service such as CrashPlan, or alternatively you can call us on (08) 9964 4223 to talk about a tailored data backup strategy for your business. 2. Anti Virus & Preventative Software. There’s heaps of software out there that claims to prevent the ever evolving world of ransomware. In truth, there’s really no 100% guaranteed way to prevent attempted attacks. The best course of action is to firstly refer back to step 1 (back up your data!) – and install Malwarebytes paired with AVG. Both offer free protection plans, and will protect you not only from ransomware, but 99% of other threats. 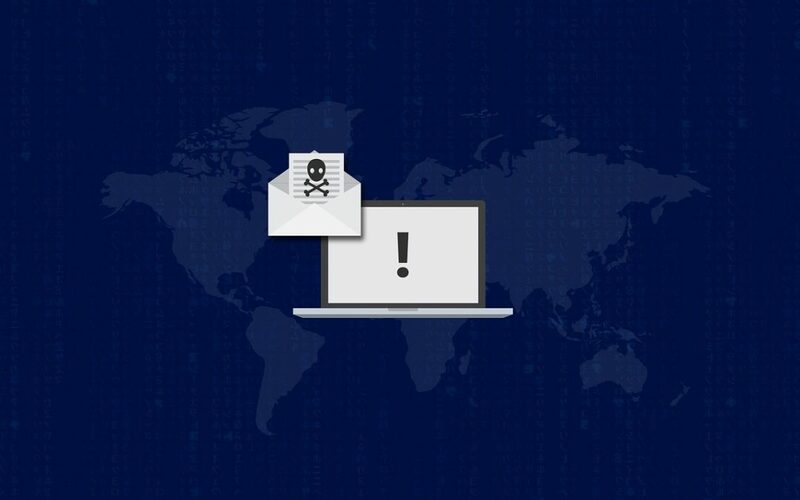 We highly recommend that you subscribe to the premium version of Malwarebytes – Corporate subscription includes their acclaimed anti-ransomware program. Get in touch with us about rolling out Malwarebytes premium on your network today. 3. Be Careful What You Open. Email scams are getting smarted by the day. The hackers aim is to send you emails that are seemingly from trusted senders (Telstra, Westnet, Bigpond, Apple etc.). These emails contain hidden viruses in attachments. You might for example, get a message from Telstra with the subject line “Your bill for 05/17 of $73.28 is ready”. Naturally, trusting a nationwide telecomms company not to send you scams or viruses, you’ll open the email and take a look. These messages will come with attachments. They’re .exe files that are hidden and disguised as innocent PDFs or Word documents. As soon as you open the attached files, that’s when you’re infected. The virus will install itself in the background and proceed to work its way as far through your network as it can. Seeing as there’s really no way to stop spammers and hackers sending you these kinds of emails, the only way to ensure you won’t get infected is not to open them. Only open emails from trusted senders, and definitely do not open attachments that you weren’t expecting. Microsoft are releasing regular updates to ensure user’s security. If you’re running Windows 10, simply navigate to Settings (the little cog icon on the left of the start menu) > Update & security > Check for updates. For older versions of Windows, open your start menu and search for ‘Windows Update”. 5. Let The Pro’s Do It. If you’re not confident in the upkeep of your business’ digital security, they the best course of action is to let the professionals take care of it. Contact us today and we will build you a customised security strategy, and take care of all the above steps to ensure you aren’t stung by an attack. 2V.NET IT SOLUTIONS © 2019. All Rights Reserved.